For discovery of lung surfactant, and development of synthetic lung surfactant therapy for Infant Respiratory Distress Syndrome. After graduating in 1947 from Cornell University Medical College Dr. Clements joined its Physiology Department as a research fellow and instructor. Two years later, when a shortage of military doctors became acute, he volunteered for service and was assigned to the United States Army Medical Research Laboratory at Edgewood, Maryland. As a part of his duties there he developed an interest in pulmonary function and began to elucidate the physical and chemical properties of a previously unknown material he named “lung surfactant” which was later found to be essential to normal breathing. This application of biochemical knowledge to respiratory mechanics was an unlikely, pioneering step, and for several years physiologists and physicians largely ignored it. Dr. Clements’ education had been unusual, however, in that he had a special interest in chemistry and as an undergraduate had taken courses in the chemical engineering curriculum rather than the introductory pre-medical chemistry courses. Also, he had a colleague and friend at the Edgewood laboratories who was an expert on protein films at water surfaces and who taught him rudiments of surface phenomena. Dr. Clements’ manuscript describing the surfactant was rejected by Science magazine in 1956 but, a year later, appeared in an un-reviewed journal. The Institute of Scientific Information later found that this was among the most cited papers in the medical literature. It was only after several years of research that the “mysterious” surfactant was proven to be a lipid-protein complex that could lower surface tension dramatically and thereby prevent the airspaces of the lungs from collapsing. Before that, in 1958, he had discussed the importance of the surfactant in maintaining expansion of the airspaces, and also his methods of demonstrating the surfactant, with Avery and Mead of Harvard University. In 1959 they reported that the surfactant was missing from the lungs of infants who had died with respiratory distress syndrome (RDS). This seminal finding proved the clinical relevance of the surfactant and entrained the interest of many researchers. The ensuing growth of surfactant studies opened the door to the science of pulmonary biology. 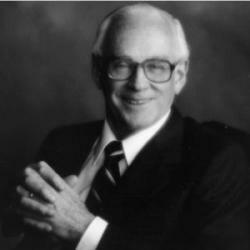 Dr. Clements moved in 1960 to the University of California San Francisco Cardiovascular Research Institute and Department of Pediatrics, where he organized an interdisciplinary research group to investigate the biology of the lung surfactant system. This work and studies in other laboratories in the next two decades greatly advanced the understanding of surfactant composition, structure, functional properties, and metabolism. This new information led to the preparation of substitutes for the surfactant when it is deficient, for example in RDS of infants born before the surfactant is secreted into the airspaces of their lungs. This is now standard therapy for premature infants in many countries, and it has also been tested in other diseases, such as adult RDS, asthma, cystic fibrosis, and pneumonia. Certain proteins in the surfactant belong to the immune system, and their roles in lung defense are currently being investigated. A few rare inherited diseases of surfactant have been discovered, and many researchers now study the role of genes that control surfactant structure, composition, and function. Since joining the faculty at UCSF in 1960 Dr. Clements has worked closely with its neonatologists to incorporate physiological concepts and methods into the care of severely ill newborns; to develop one of the world’s first Intensive Care Nurseries; and to train many fellows who have become leaders in medical centers around the world. In addition he has been active throughout his career in editorial duties for scientific journals and in service to professional societies. He is now Emeritus Julius H. Comroe, Jr., Professor of Pulmonary Biology, Emeritus Professor of Pediatrics, and Retired Member of the Cardiovascular Research Institute and the Graduate Program in Biophysics at UCSF. He continues to work at the university several days a week, editing, consulting, and working with colleagues to complete research on the profile of surface tension in the airways of the lung. Previous indirect studies suggested that the airway surface tension gradient, especially in the finest branches, may play a role in normal clearance of inhaled particles and that surfactant malfunction may intensify obstructive diseases. The current work is designed to demonstrate the profile directly on the airway surfaces and thus test predictions that Dr. Clements made in 1959.